Fear: You can never get rid of me completely. I'm part of your very nature; a part of you that makes you human. For now, I might just be a notion in your mind or a tiny patch of frost in the pit of your stomach waiting for the chance to grow. After all, it doesn't take much to wake me from this dormant state. One unnerving sight and I can take hold of you, seeping into your blood, chilling your mind, yet sharpening your senses. I know you hate me, the way I make you feel. I see it when you hide me away. The way you smile on the outside while I can feel the sweat on your palms and beat of your heart. You know, you couldn't survive without me. That is why I'm built into your very being. Without my whisper of common sense- or perhaps over-caution- nothing would stop you from leaping off the bridge of sanity. You may hate me like an unwelcome parasite, but the truth is you need me. Anger: It is strange, the way I'm your go-to man, the one you reach for first when things don't go your way. You don't seem to realize how much I love to terrorize you. You don't notice that it is my fault. When I have my way, I'll burst from your soul. Like a house fire, I burn through everything you care for, everyone who cares for you. All the while, I keep a wall of my fire around your reason, your common sense. Of course, I don't always get my way. You might be able to keep me in and away from what you love. However, do not worry. I have my ways inside you too. My contained inferno will focus around your heart and slowly burn that squishy thing into a lump of coal. I can evaporate the love, the mercy and the hope. Now that I tell you this, will you still choose me first? Relief: I may seem small and unsuspecting, but when I arrive fear flees. My gentle rivers and warm breezes are enough to melt the ice and extinguish the flames. In your veins, I drain the adrenaline and in your heat, I slow the beat. I never stick around for long, only long enough to check up on you and relieve you of your fears. You're not the only one with fear and worries and I cannot hold them all off for long. Soon after I arrive, I flow out as quickly as I came. The whole world could use a taste of my sweet waters when fear coexists with daily life. You're just lucky that I decided to pay you a visit when so many others need a drink. CSSSA application assignment D. Three paragraphs describing the emotions fear, anger and relief. On the Poet ArticleI discovered the idea for this article through =namenotrequired's article However, the original idea came from ~MeineSehnsucht. I have seen =namenotrequired throughout dA ever since I became an active member. However, it was only a few days ago that I stopped to read his work. I instantly regretted the time that I had spent only noticing his icon and envying his clever name without taking a look inside his gallery. As I started to look through his gallery, I noticed beautiful rhymes and clear rhythm throughout his work. I was instantly drawn in and wanted to read more. Chekhov's GunsAnton Chekhov (no relation) surveyed the racks upon racks of guns that lined the walls of his shop. Although many of them were black, each one of them possessed a dangerous sheen – gleaming hungrily like the alien from Alien. Their polished grips, some smooth, some textured, some wooden, some not, they cried out to be held, and more than held. A drop of sweat rolled down Chekhov's forehead. He knew full well that he was in a short story, and he knew full well what that meant. He regretted now opening a gun shop, just for the sake of a lightly amusing pun. There was no way he could have anticipated the events playing out here, but looking back now, perhaps it was also true to say that he'd been asking for it. Thank you for custom ordering from Neko Corp. Here is a list of instructions for caring for your new pet Nekoloid and with your new Nekoloid is a few things it might need. All Nekoloids are to be kept away from water to keep them functioning and regular grooming to avoid hair balls. Due to pet over populations, Nekoloids are spayed and nurtured before being shipped to you. Nekoloids also have all their shots, and are free of fleas, worms and completely healthy. We now offer kitten versions of all our Nekoloids. One morning she awoke to find workmen in her garden. 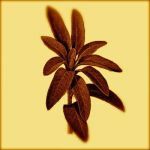 They had already pulled up the sage bush, dumping it unceremoniously, root side up atop the rosemary, atop the basil so that it looked like a miniature baobab, or whatever they call those trees in Africa with the habit of growing upside down. She wished she could shrink down and scurry off into that diminutive landscape. She wished she could call to the workmen and tell them to get out of her yard, to tell them that sage could be burnt to ward off evil spirits. Instead, she let her teacup slip through her fingers. It greeted the floor with the expected crash, a hundred tiny shards singing and reveling in newfound freedom, tracing wet trails across the tile. Elle EnchantedAfter the casket detonated, the afterlife eagerly mocked Elle. Prince Cerec grimaced. He hugged the nearest bear. The nightmares were over. He cried. One extra gunpowder barrel announced the explosive finale. The heavy showers soaked everyone while they beheld the dreadful funeral take place. The raven colored felines meowed another omen. Cerec knew the jebiesz jeze kittens were behind the ordeal. Innocently, they’d licked themselves then purred after devouring the sea-urchins the guests discarded. Everything’d gone haywire since sunrise. Nein! Everything’d been hectic recently. Elle’s funeral needed respect. He required peace, relief, closure! However, none happened. The pedestal, where Elle’s slippers rested, collapsed. The shoes shattered. Incorrectly delivered poisoned apples rendered the guests inert. The dwarves, whose antidote proved useful, charged senseless prices. Mermen rampaged when they spotted sea-creatures served. A Key PointHello. I'm your left shift key. You know, on your keyboard? I think it's time we had a little chat. See, I think I have things better than some others I know. Like my friends P, A, I, and N  you know those keys? - well, they've been feeling used. Whenever you open up Microsoft Word, they just start groaning because they feel your poetry coming. Me, though, I guess I'm just feeling ignored. Unappreciated. You know the feeling? I know you do. I saw that poem about your family. Tough stuff, right there. I feel you, I really do. You placed your hands, sticky from the stagnant humidity in the air, on your knees, staring down at your boots. The heat of the midday sun and the heavy moisture in the air was, to put it frankly, downright annoying. [e/c] eyes flickered upright at the sound of your name. Of course, it had to be him that you were paired with, the contrarian to everyone's popular, and correct, beliefs to not test your patience. "That's all you've got, [name]?" Instantaneously, some sort of transformation was upon you, ridding you of your exhaustion, and sending red-hot anger-fueled energy coursing through your veins. "I swear, Kirschtein, one more comment and I'll break your ankle once and for all." This threat shut the smug teenager right up, as the distant memory of your first meeting played in the back of his mind. Mythological Couples: Hades and PersephoneWere his eyes playing tricks on him? What was Hades doing in his palace? “I am all ears then.” Zeus replied, his curiosity peaked. Whatever the matter, it must be quite important, if Hades was willing to leave his palace. “I want to marry Persephone.” Hades responded straightforwardly. He had forgotten his brother was not a man of many words. Zeus couldn’t help but smile at his words. “I don’t see how this is a laughing matter.” Hades responded indignantly. Can I insert my deck into your duel disk slot? You can summon my dragon, baby. Are you a tuner monster? Because you're powering up my Syncro. Baby, I'll treat you like my trading cards. I'll spend all my money on you and play with you for hours. Let's do it like a card game: on a table and surrounded by a lot of people. I put the lust in Black Luster Solider. Hey sweetie, they call me "White Lightning." Care to find out why? Let's pretend to be the millennium items. I'll be the rod. Are you the millennium puzzle? Because I believe you're my destiny. Have we met before? Because I'm sure you were my soul mate in my past life. You must be a magic card, because I'm under your spell. Kiss me, I play card games! Screw the rules, I can screw you! how about playing with the lights on? “Ah ― Do you guys mind if you watch the place for a bit?” Sasaki was scratching the back of his neck neck nervously, a sheepish smile making its way on his pale lips. Shirazu and Mutsuki were looking at him suspiciously (albeit did not utter a word), while Urie on the hand looked like he wasn't listening a word from him at all. “I have to go somewhere real quick. But I won't take long, I promise.” Sasaki adds quietly. He was holding a bag ― full of books? ― and he seemed to be clutching the handles of it tightly.